Medical marijuana has been known to treat many types of arthritis, most commonly, rheumatoid arthritis. The CBD (cannabinoid) in marijuana is an anti-inflammatory, so it help with arthritis. 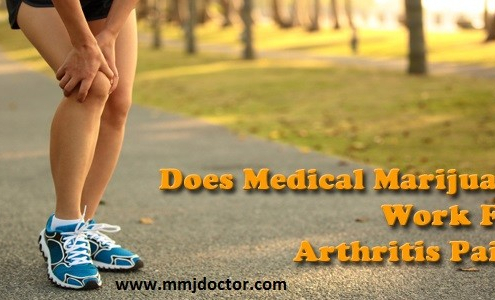 https://mmjdoctor.com/wp-content/uploads/2017/01/medical_marijuana_arthritis1.jpg 300 600 admin https://mmjdoctor.com/wp-content/uploads/2016/12/mmj-logotype.png admin2017-01-30 01:40:162019-02-27 06:16:57CANNABIS AND ARTHRITIS - DOES IT REALLY WORK?